Here’s a deal for all the pet owners! 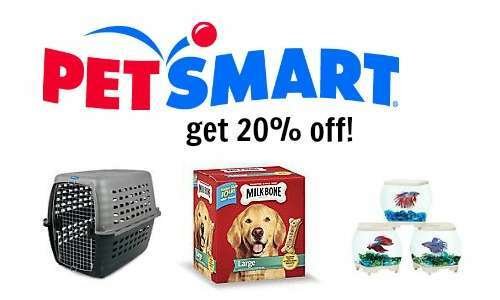 For today only, you can shop online at PetSmart and get 20% off select orders when you choose FREE in-store pick-up! There is no code required and the discount will be taken in your shopping cart. There are some brands excluded, so look at the details for more information. This offer is valid through 12/23 only.